and formerly of Olympic Drive, Strabane. the late Gerard and brother of the late Celia. Reposing at his home on Friday (April 12th) from 7p.m. Funeral leaving his home on Sunday (April 14th) at 10.25a.m. for Mass in St Theresa`s Church, Sion Mills at 11a.m. great grandchildren and family circle. 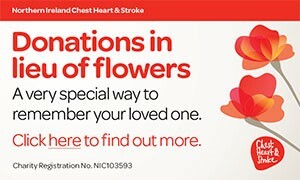 Donations in lieu of flowers please to the Alzheimer`s Society c/o Quigley Funeral Directors, 1A Newtown Place, Strabane. I am sorry to tell you that Eddie Mc Gurk has passed away.